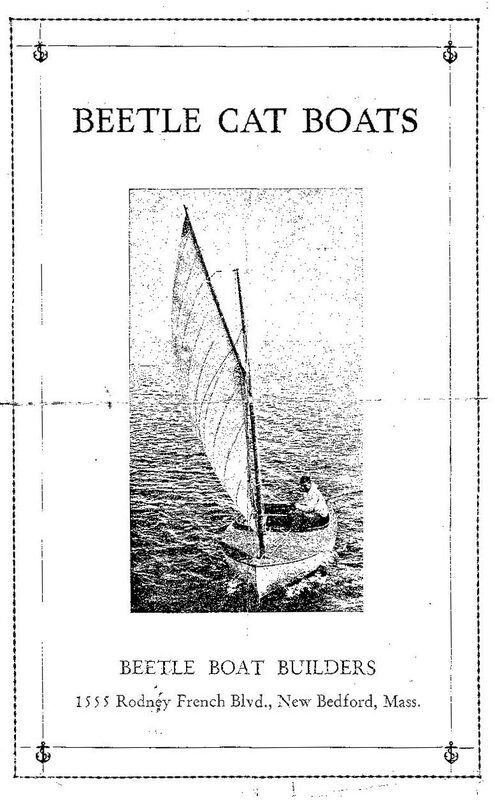 The Beetle Cat was named after the Beetle family of New Bedford, MA who originally designed and built the small 12 foot gaff rigged wooden sailboat for their children in 1921. 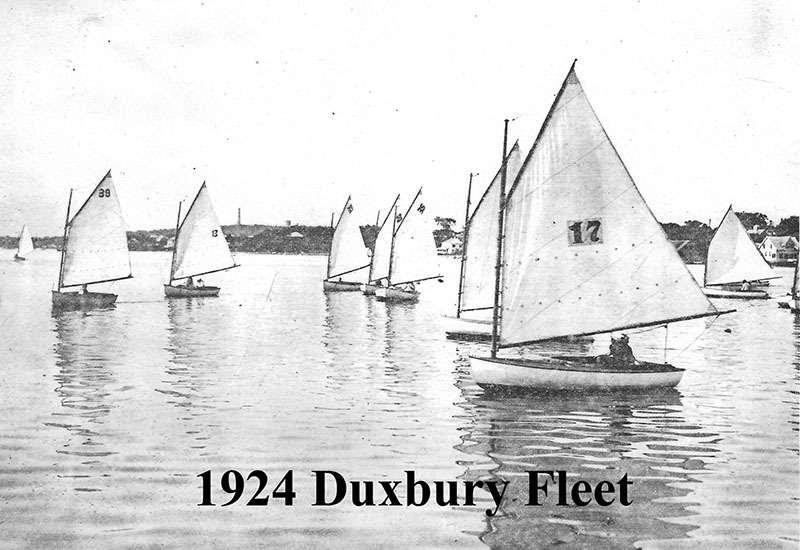 Famous for their Beetle Whaleboats, they used some of the same mass production techniques that enabled them to build quality whaleboats in record times. 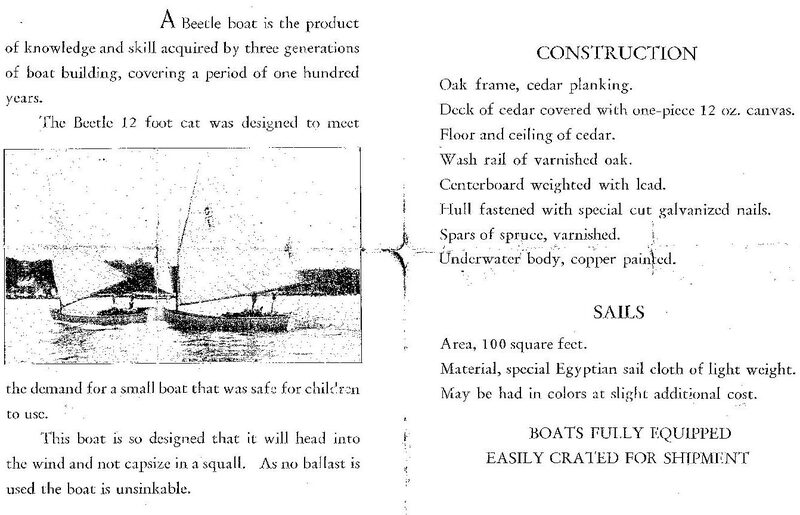 With interest growing in the Beetle Cat, and the demise of the whaling industry, the Beetles shifted production to the Beetle Cat boat. In 1928 following the death of John H. Beetle, his daughter Ruth Beetle took over the management. Several articles in the New Bedford Standard Times in the early 1930s, highlight her role as school teacher and Boatwright. During WWII, all production of the Beetle Cat was suspended. After the war, the Beetle family sold the rights to the Beetle Cat to Concordia Company of South Dartmouth, MA. Concordia turned to Palmer Scott for help, and Leo Telesmanick was in turn put in charge of the building of the boat. It was in 1946 that the Beetle Cat mold, which is still being used today, and many of the patterns were developed by Leo. Concordia eventually set up a separate Beetle Cat division, and in 1960 moved the entire Beetle Cat crew, including Leo Telesmanick, to Smith Neck Road in South Dartmouth. Charlie York who had grown up sailing Beetle Cats, trained under Leo and managed the Beetle Cat Division from 1983 to 1988. He then bought the rights to the boat in 1993, and formed the current company Beetle, Inc. 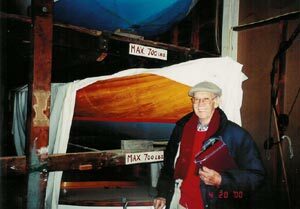 In 2003 Bill Womack bought the company, and in July of 2004 moved the operation to its current location in Wareham, MA, with plans of expanding into other types of wood boat construction and maintenance. The new shop in Wareham allowed more space for Beetle Cat new boat construction, additional storage space for the Beetle Cats – where over 225 are stored and maintained, along with inside and outside storage and maintenance of other types of boats. 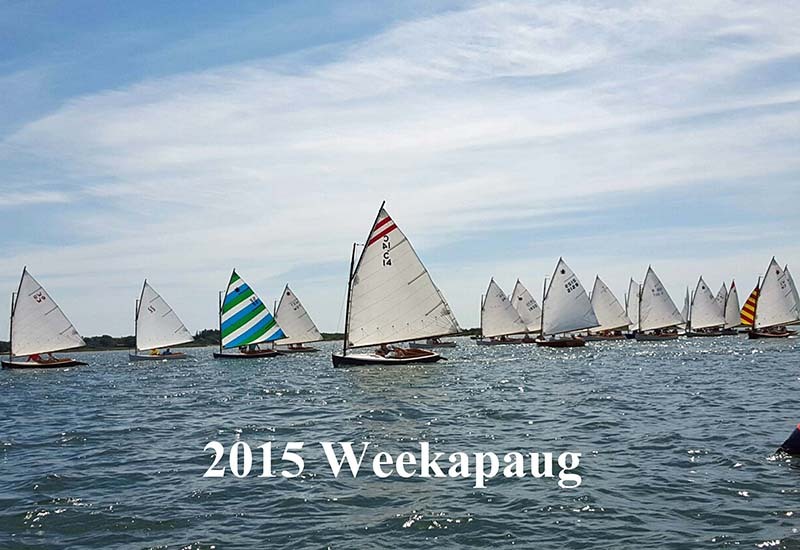 The increased working space also allowed the company to begin building larger traditional wood boats, with the 28′ Hanley Catboat “Kathleen” having been launched in 2006, a 26′ Herreshoff Alerion in 2009, and a Beetle Whaleboat for the Charles W. Morgan in 2014. The Beetle 14 was designed by Bill Sauerbrey in 2006, first launched in 2007, and has received numerous accolades since its introduction. 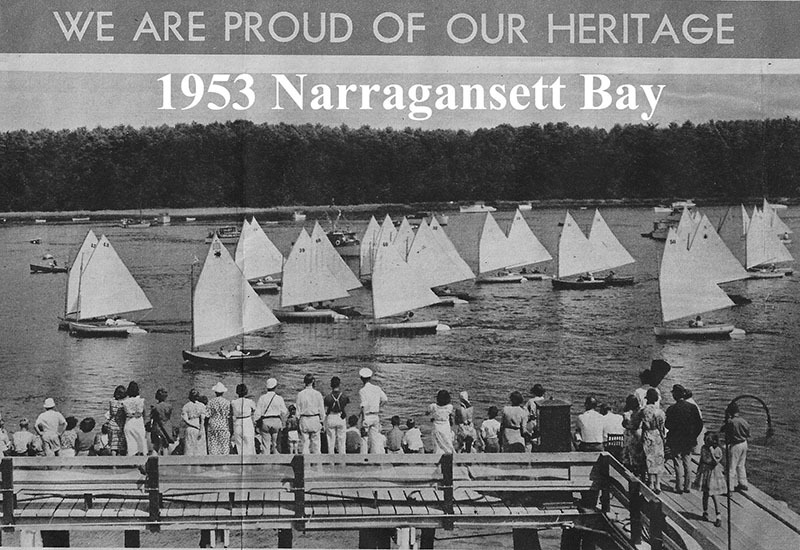 Everyone at the Beetle boat shop looks forward to what the future holds as we close in on our 100th anniversary!